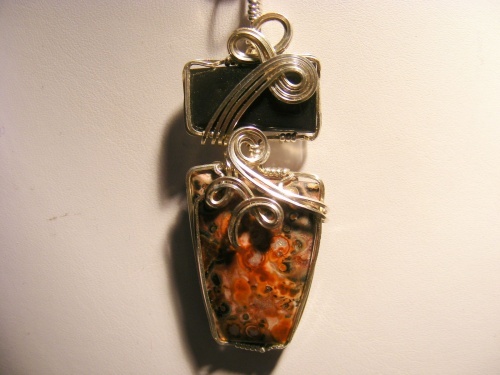 This elegant duo pendant is made with gorgeous silver sheen obsidian toping beautiful leopard skin jasper. I enhanced the pieces with swirls of sterling silver to make this high fashion pendant just pop. Comes with a sterling silver chain.